Great Commuter Location!!! 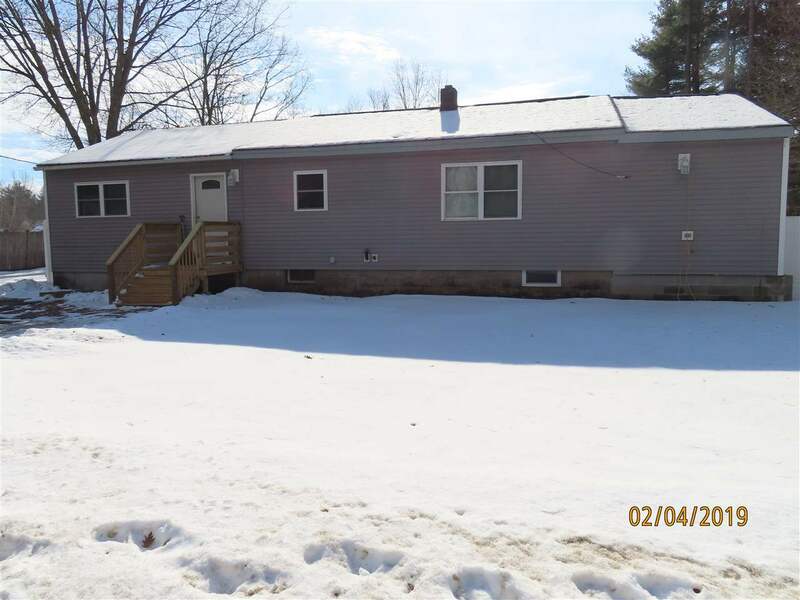 South Hudson Ranch featuring many updates including new 3-bedroom septic system installed in 2018; new furnace (A-Coil in place, condenser needed for central air), 200 amp electrical service, hot water tank and hook up to town water completed in 2016. Other upgrades include replacement windows, bathroom fixtures, pex plumbing, partial fence and shed. The front door provides entry into the open concept gourmet kitchen with lots of cabinets, backsplash, and upgraded appliances, which opens to the dining area and living room. Down the hall is a full bath, master bedroom and two additional bedrooms. Philbrick Street is a great commuter location with easy access to Route 3.